These windings are discussed as follows. These coils are suitable for windings to carry high currents, which are generally used or currents greater than 100 A. They are almost used for LV windings. 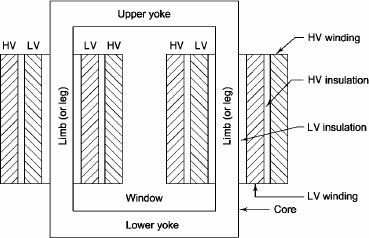 Figure 1.11 shows double-layer spiral coils, which are wound on solid insulating former, and hence are mechanically strong. These coils are wound in the form of helix, which are generally used for low voltages 11 kV to 33 kV for large transformers. 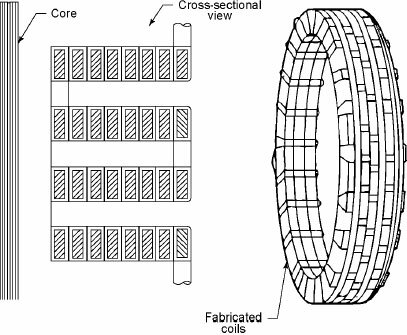 Figure 1.12 shows the cross-sectional view of helical coils where each conductor consists of a number of rectangular strips wound in parallel radially. These coils are generally wound on formers. 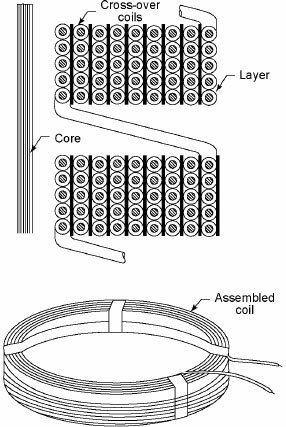 Each coil consists of several layers and each layer consists of several turns. Figure 1.13 shows cross-over coils. The conductors may be of round wire with paper or cotton insulation and not suitable for currents exceeding 20 A. These coils are generally used for small transformers and for HV windings. Figure 1.14 shows disc coils. These windings consist of a number of disc and each disc consists of number of turns wound radially over one another from inside outwards and outside inwards alternately. Conductor consists of single number of rectangular strips and passes continuously from disc to disc for multiple strip of conductors. The transposition of conductors is done to ensure uniform current distribution. These windings are mechanically strong and hence can withstand stresses during short circuit conditions. These are used for HV windings of large power transformers.